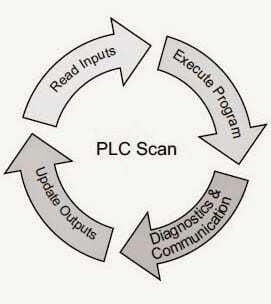 A one shot in the PLC will turn an output on for one scan. This is used to trigger events that should only happen once. An example of this would be to increment a value in memory. 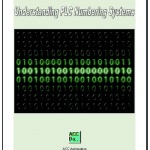 If a one shot is not used, then every scan of the PLC will increment the value. One shots are known by several other names. Differential Up (DIFU), Differential Down (DIFD), One Shot Relay (OSR), Powerflow Modifier, Leading edge contact, Trailing edge contact, etc. This all relates to the programmable controller that you are programming. Lets take a look at programming a one shot using bit logic only. We will program both a leading edge one shot and a trailing edge one shot bit. 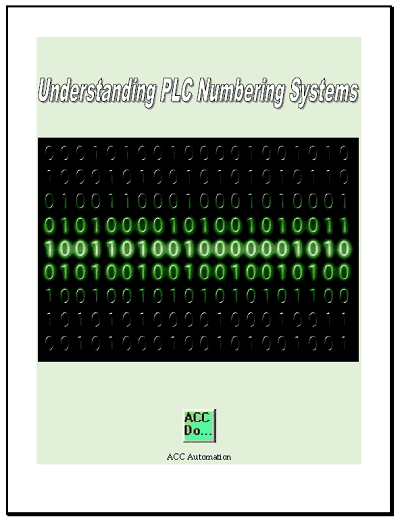 This program will work in all PLCs. Note: The white background in the increment (INC) instruction just indicates the reset for the animation. When input X0 turns on C0 is turned on for one scan. This is because it is in series with the C1 lead work bit. The next rung will latch this on and not unlatch it until the input condition X0 turns off. C0 will only be on for one scan when X0 turns on. When input X0 turns off C2 is turned on for one scan. This is because it is in series with C3 trail work bit. The next rung will latch this on and not unlatch it until the input condition X0 turns off. The leading and trailing edge Powerflow Modifier is placed before the output. It will turn multiple input signals into a one shot for the output. 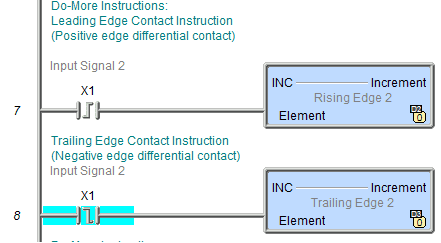 Previous PostCreating a Flip Flop Circuit in the PLCNext PostWho Else Wants to Learn About On Off and PID Control?